When I was growing up in England there were only three magicians that I remember watching on television on a regular basis. 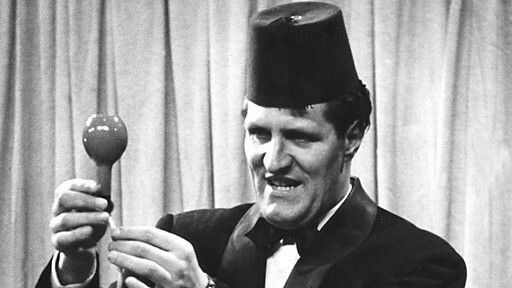 They were David Nixon, Robert Harbin and Tommy Cooper. There must have been more but it was these three I remember the most vividly. My personal favorite was Tommy. 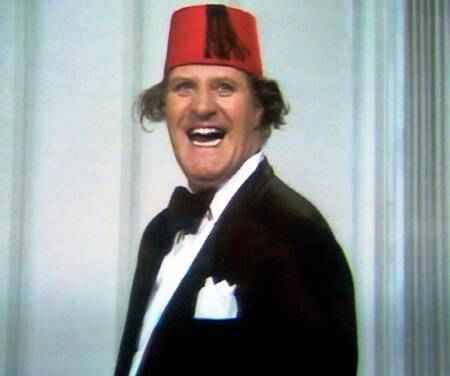 In fact in England he was practically everyone’s favorite funnyman. It is sometimes difficult to explain to non-Brits about what a beloved figure Tommy was to the British public. Only Frankie Howard, Tony Hancock and Morecombe & Wise were in the same league. Tommy was one of a handful of performers who could reduce an audience to a fit of laughter without saying a word. He was certainly a huge influence on my career. I only met Tommy once but it is a meeting that has a very special place in my heart. In my early years I spent as much time as I could in ‘Ken Brooke’s Magic Place’ and was lucky enough to get personal tuition from Ken. He charged a guinea (21 shillings) for each half hour lesson. This was a great deal of money to me and I took my lessons very seriously. Finally the penny dropped and I realized that I was to share a lesson with a legend. For half an hour Ken barked out instructions to us in his normal manner. We followed his instructions as best we could and after thirty minutes Ken told us we were done. Tommy said goodbye and left the studio. I strongly suspect that Ken had deliberately arranged the event to give me a special treat. If this was the case then he certainly succeeded and to this day it remains one of the most special half hours of my life. ~ by Nick Lewin on May 12, 2013. Nick: This is a great story. Naturally, Tommy was my hero too (as were David Nixon and Robert Harbin, of course). Tommy never did quite master doing the multiplying bottles without a bit of ‘exposure’ – but who cared? The routine was (and is still) hilarious. You were a very lucky man to have met him.